Pardon my ignorance, I don't know the technical language here. I've noticed more light coming from under my boiler by the access door to the burner section. When I opened it this s evening the flames are coming up the side of the burner. I have video but was not able to upload it so I screenshot the video for you to see. I'm pretty sure this isn't right? Any ideas on what I need to do to remedy this? I am a 2-pipe steam system. thank you. It's burning improperly, probably producing lots of carbon monoxide. Do you have a CO detector in the house? This is probably one for the pros to look at. Where are you located at? You can use the Find A Contractor form on the main page to locate someone nearby. Could it just need a cleaning? There are open windows beside it in the basement. You should shut it down and get someone in to look at it, PRONTO. It probably needs cleaning. 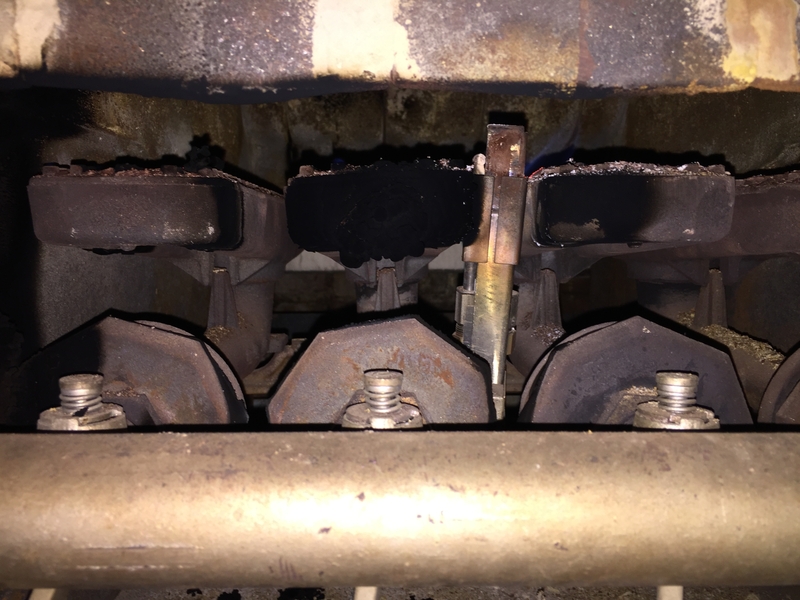 Both the burners and the boiler could be plugged with soot as well. Really needs to be looked at. If you can find a pro from this site in your area that is your best bet. If you don't have a contractor you should get the gas company in there iff you have to. Thank you, it's shut down the carbon monoxide alarm is right beside it and not showing anything. I have good exhaust out and will work on getting it cleaned up and go from there. Again, thank you for your help and if you have other thoughts please let me know. Why do people hang on to these relics? A UL listed CO alarm really needs a lot of CO built up to sound. For real safety, a "low level" alarm is the wise choice. We are trying our best to keep this "relic" up and running as safely and efficiently as we can. I am just a home owner and not an expert which is why I'm thankful for this forum and the help it has been. I don't recall in the past it being this juddmental of my decision to try and maintain a significant piece of the home, but nevertheless I am grateful for the expert's input. The burners were disassembled, cleaned thoroughly, inspected for any exhaust blockage, and is now back up and running very well. You really should consider a new boiler. 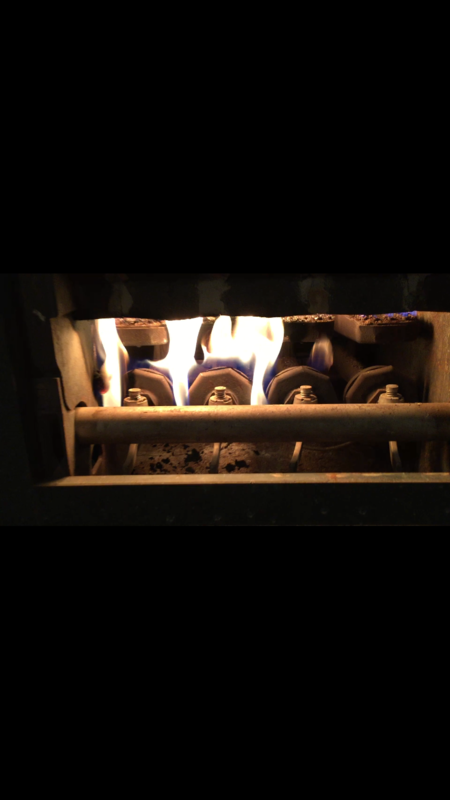 That burner can't be adjusted to a good clean flue gas sample due to the cast iron holes being enlarged due to age. If the gas company comes in and tests it, the'd most likely shut it down. Make sure that you keep your CO detectors up to date. They have expiration dates on them. Did they perform a digital combustion test? If so, can you post the printout so we can see the result? I think he DIY'ed it Frank. Anyone who does work on a boiler and doesn't perform a combustion analysis is putting their whole life and business on the line. If you don't test, you don't know, and God forbid, if something should go wrong, you touched it last and are responsible for any connected damages, including the loss of life, property or ability to produce. 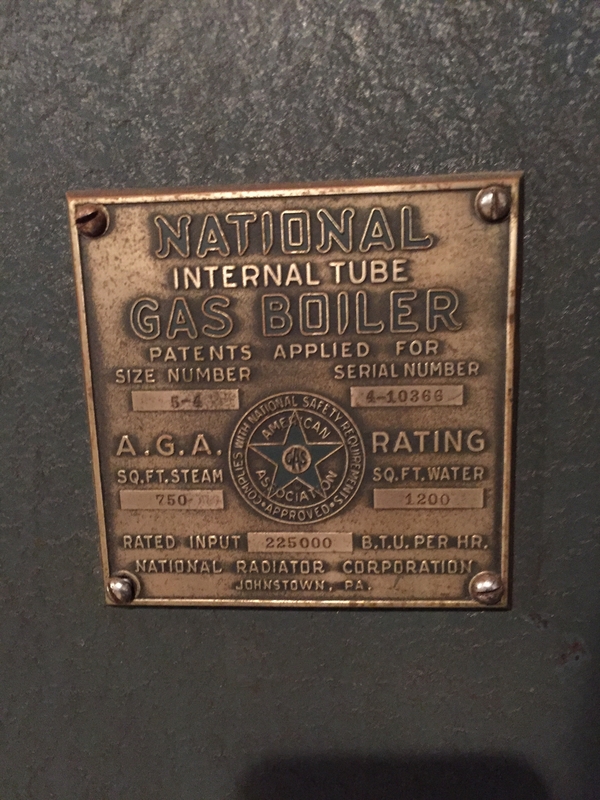 Almost all of the boilers we encounter for the first time have never been tested. Which proves once again: You Can't Fix Stupid!!! And that is why I chose gas over oil 4 years ago. I am not aware of a single oil company that performs service in this area that uses a digital combustion analyzer. I can assure you that none of the "techs" have one on the trucks. What is really interesting about this tidbit is the fact that these large companies apparently do not believe their business is in jeopardy. They have, apparently, made a judgment based upon how many people with oil fired equipment are getting killed from CO poising. Now you can certainly be judgmental regarding the performance of these companies but they are laughing all the way to the bank and I don't see that changing any time soon. This will come back to bite them at some point. I repeat: You Can't Fix Stupid!